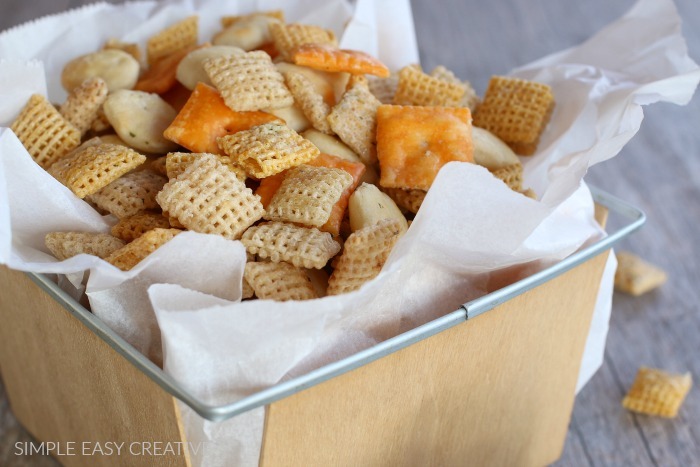 This Zesty Ranch Chex Mix is great any time…movie night, game night, while watching your favorite sports, during the holidays, party snacks, and it even makes a great gift too! 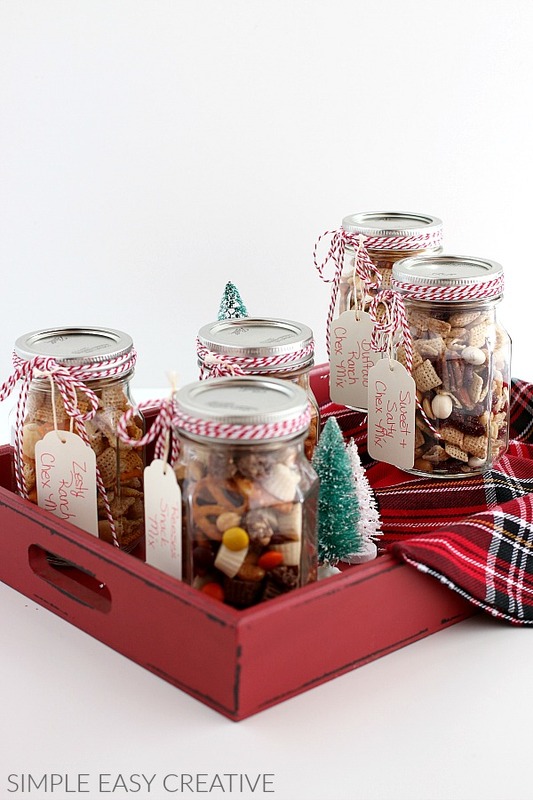 One of the most loved recipes at Christmas time is Chex Party Mix. The savory seasonings and the little bit of sweetness from the cereal is pure perfection! Another favorite is Ranch dressing. I think we go through more bottles of Ranch than several families put together. So I decided to put our two favorites together! 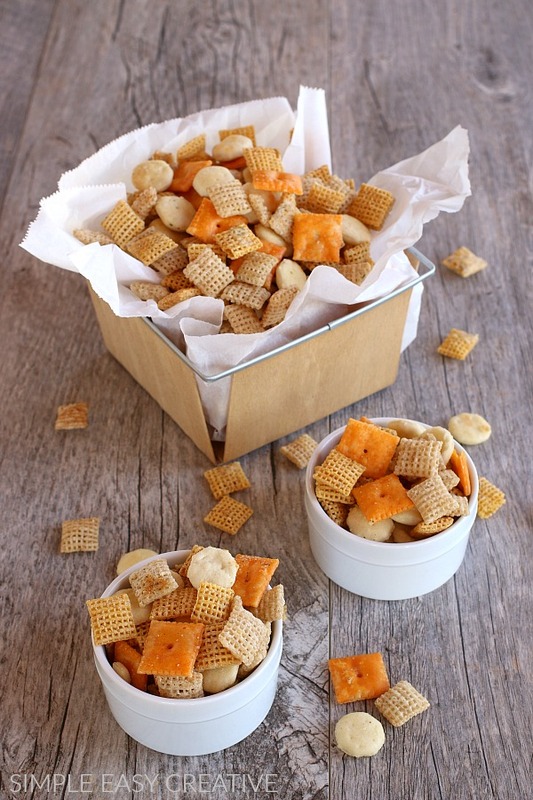 And the new hit in our house…Ranch Chex Mix! 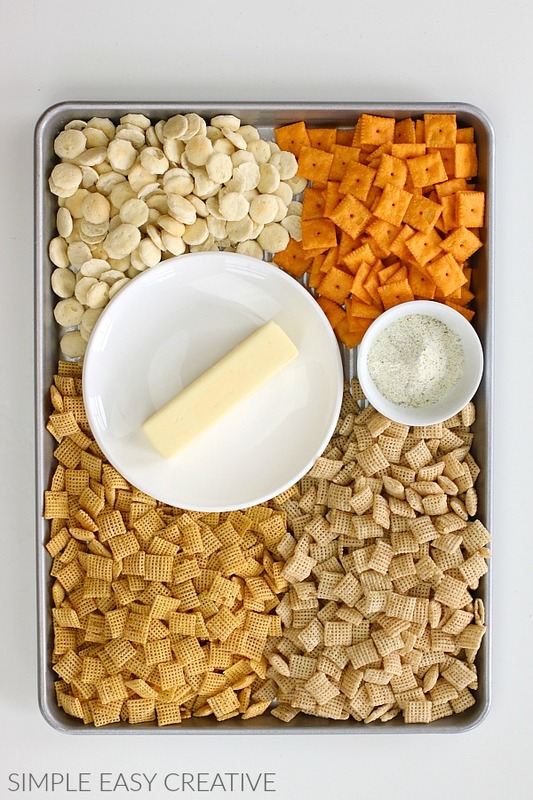 This snack mix goes together in minutes with no baking required and by adding your favorite ingredients, you can make it your own. In a small microwave safe bowl, melt the butter. Then stir in dry ranch dressing mix. 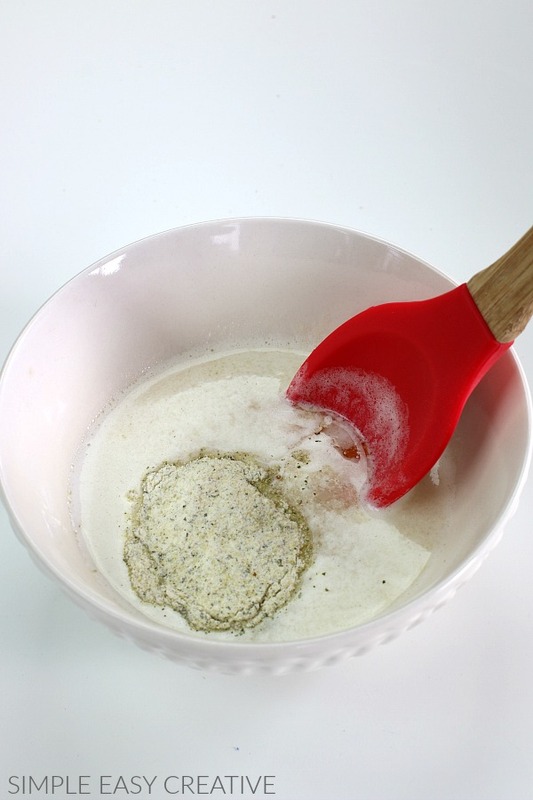 Pour butter mixture over dry ingredients and stir until well coated. 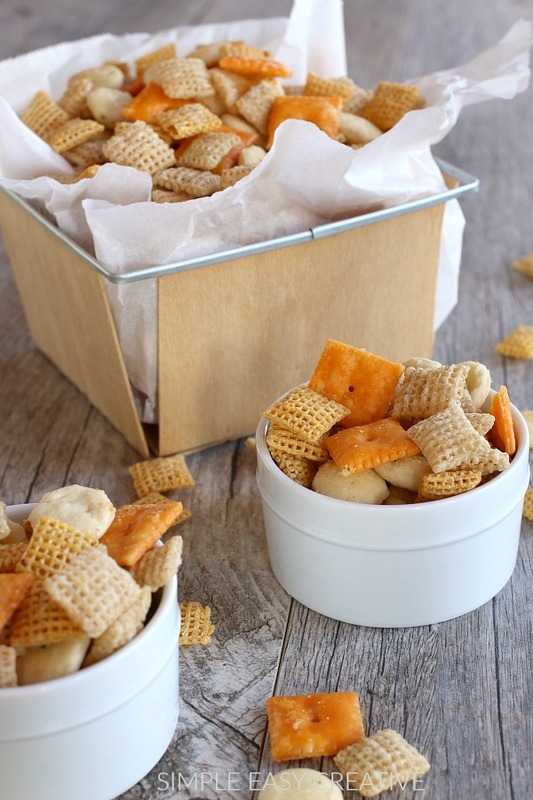 Spread snack mix onto cookie sheet lined with parchment paper or paper towel until cooled. 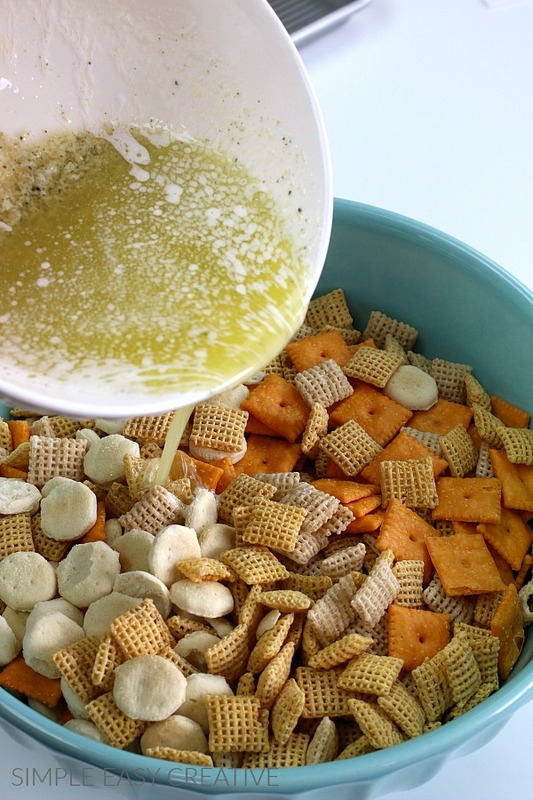 One of the best things about snack mix recipes is the option to add the ingredients you like. 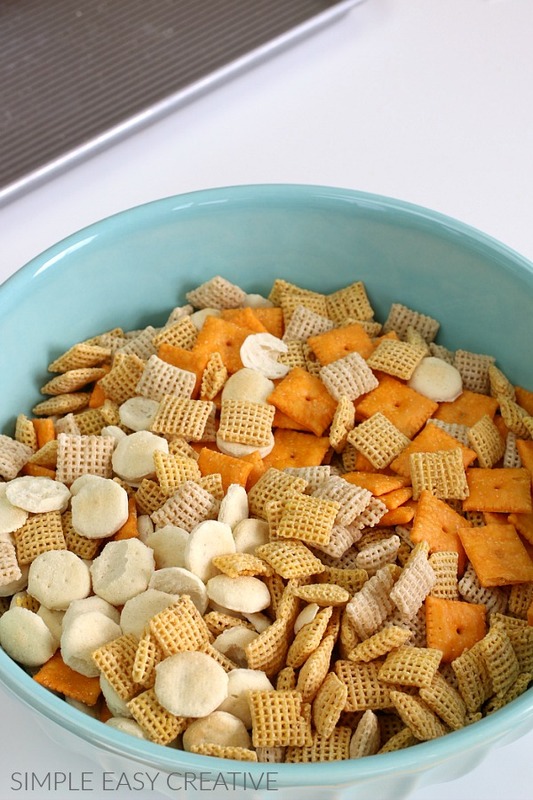 What do you add to your Chex Mix? I am thinking about adding pretzels for the next time- just to add a little bit of extra salt and a different texture to the mix. 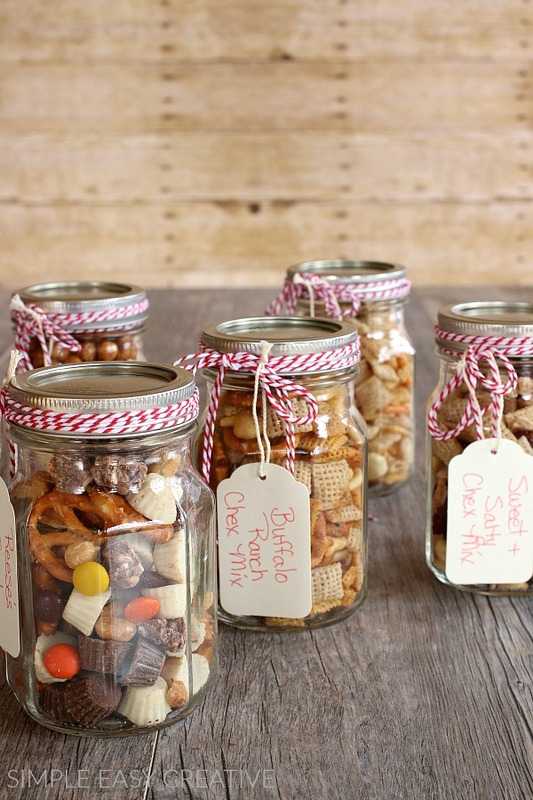 Perfect snack for movie night, game night or while you are watching your favorite game. Made this to throw onto a table for a birthday party – quick & easy! Thank you! Does this need to be stored in the refrigerator? How does this hold up over a few days? Hi Meg, it does not need to be in fridge. As long as it’s in an airtight container, it should last at least a week or two. 5 *****. My new FAVORITE snack. I try to eat gluten free, so I use Honey nut chex, corn chex, puffs goldfish – mega cheese, gluten free pretzel sticks and cashews. Mix all with the butter and Hidden Valley ranch mix. Thank you for this recipe. This looks so yummy !! !So do I bake after or just start munching? 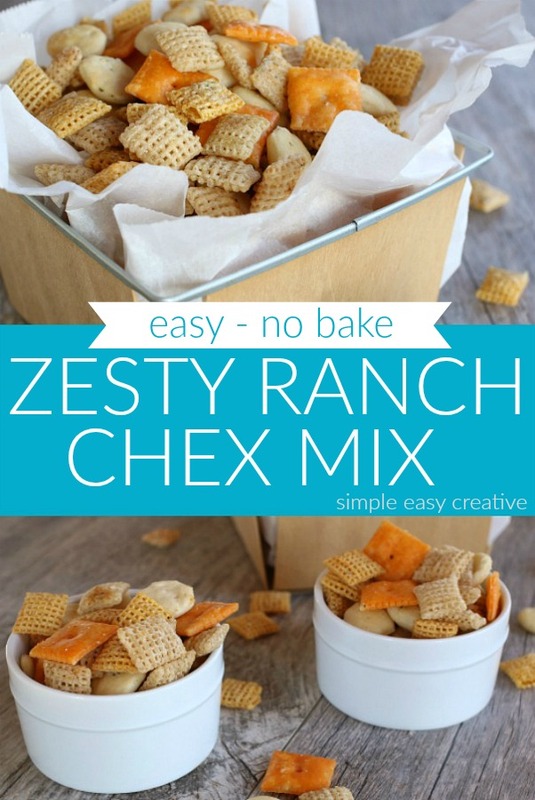 Hi Cristy, no need to bake this chex mix, just mix and enjoy. So many times I eat check mix with sweets but this is a nice switch up! YUM!